Suspended In Time® offers a large selection of encasements to accommodate everyones budget starting as low as $39! All of our encasements are made from the finest materials available and are custom made. The cost depends upon the type and size of encasement you choose. 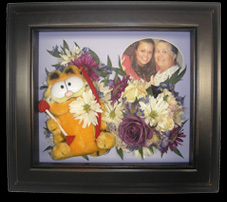 We have options for you to choose in all price ranges. The price of the complete encasement will be given to you upfront, with no surprises. 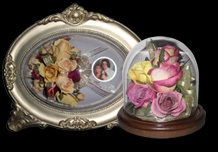 Want to add a photograph, baby blessing dress, urn, or other memorabilia? No extra cost! 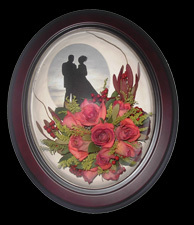 Want an engraving stating your name and your husbands name along with the date of your wedding? No extra cost!